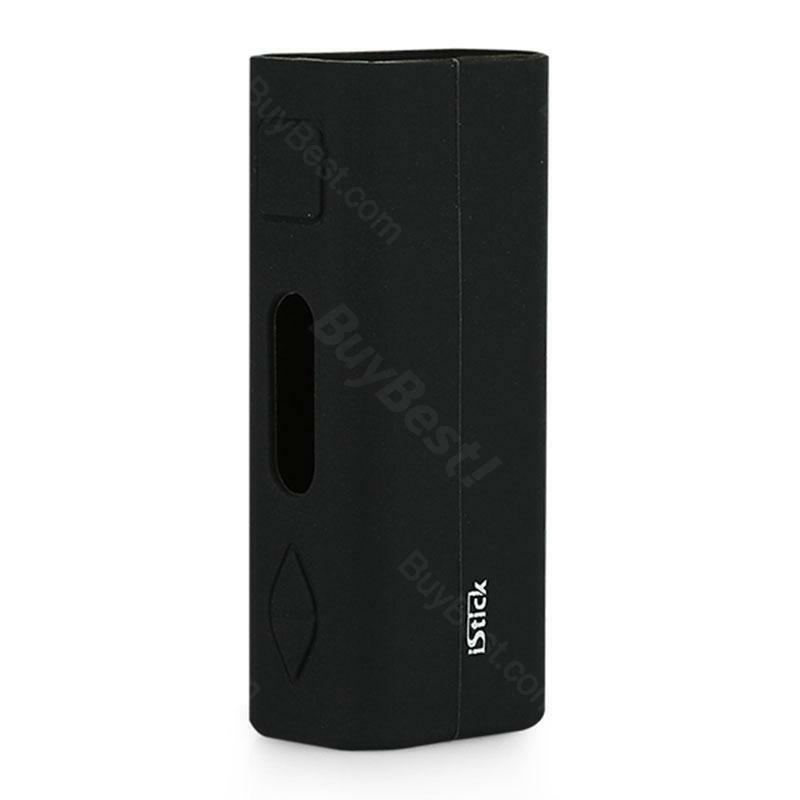 Eleaf iStick silicone case, is a practical battery body protection case. It fits well with both Eleaf iStick 20W and 30W istick battery. Get it to protect your istick mod. • If you experience any leaking form your atomizer, make sure to check and clean any e-juice that may be gotten between your istick and the istick Silicone case. • Please keep away from fire. • Please keep out of the reach of children to prevent accidental swallowing. Ok, went looking for a decent Gel cover for my Eleaf/iStick/30W Mod. Fortunately, Amazon has them all. To begin, the picture is exactly as described to real tangible product. Color exclusively match pictures on Amazon. The price is certainly not going to break the bank when protecting ones MOD. For sizing, it fit like a glove! Gel cover slid over my MOD perfectly with no resistance and looks not to slide off with ease anytime soon. It has a rather nice thickness to add extra protection if dropped. Very nice cut out for seeing levels of vaping preferences as well as a generous opening for USB jacks. This is essential as there are different kinds of jacks that can be used to charge ones MOD and the larger opening can accommodate other types of chargers. Another plus to this cover is that it is a smooth finish, so if your one that travels with your MOD in your hoodie pocket to jacket pocket that the material of this cover won't attract or having clothing lint/fuzz stick to it. Measurements of this cover are right on, as the voltage/Watt buttons and power button line up perfectly over the perspective buttons on the MOD. The extra lines molded in the side of the Gel cover offer an added advantage for grip and appearance which adds to the value of this cover. Definitely recommend to others and would certainly buy again. I just hope the MODS don't go out of style before I buy again. Very nice feel, fit, and order color you like . On line red looks like pink but i took a chance and it was very red, everyone likes it. Definitely recommend to others and would certainly buy again. I just hope the MODS don't go out of style before I buy again.